This dish is one of my favorites, it is light, and fresh, yet gooey with a just the right amount of kick. 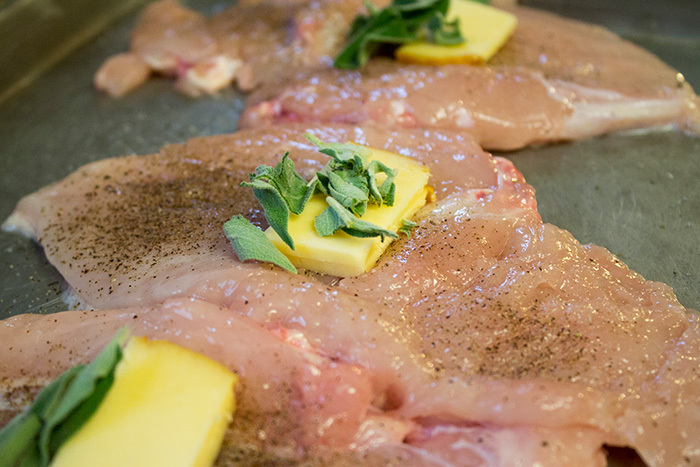 Place chicken inside a plastic grocery bag, or use plastic wrap to cover the chicken breast. Using a meat pounder, or a rubber mallet whatever you have in the tool box to do the job, pound the chicken evenly as flat as you can without tearing the meat. Next place a slice of gouda inside the chicken, then roll the sage between you index finger and thumb crushing the sage and releasing its extracts, place the sage on top of the cheese. Fold the other half of the chicken over closing the breast. Season the breast with salt and pepper. 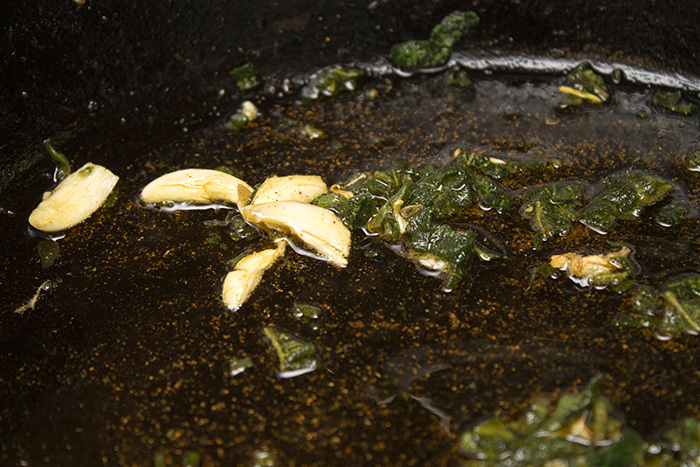 In a large skillet add the oil, minced sage, garlic, and cayenne pepper to a small pan cook over medium heat for about 3 minutes. Reduce heat to low and cook chicken until done, inside temperature should be 165F. 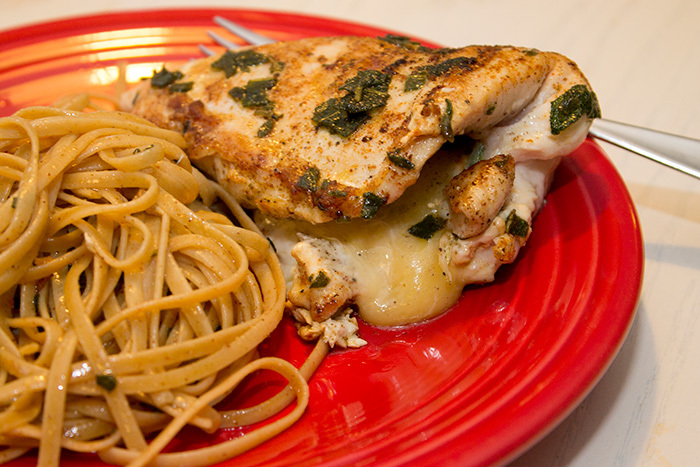 An Additional Tip: Make a double batch of the oil mixture and toss with some pasta for the side. Older PostWe Have a Loose Tooth! !